And thank you to all of you who have supported our project and helped to make possible a very full and successful year. Our main fundraiser this year is the sale of Pierro wine especially bottled for Opportunity Cambodia. It is a beautiful summer wine and we have discounted it for Christmas. So much has been achieved since our last newsletter. Our younger students who attend our rural Centre have all advanced another grade and are doing well at school. Our first students to go to high school (years 10-12) in Siem Reap all passed their Year 10 exams – a terrific achievement. I am so proud of them. Despite very poor teaching in their rural school they have made the transition to life and school in the city with courage and determination. We have gone to great lengths to provide our rural children with quality extra tuition, especially in English and computers, and this seems to have really paid off. We have just accepted another group of students under our secondary school scholarship program. This program provides support for students who have completed primary school, and are keen to continue to secondary school, but whose families cannot support their education any longer. We have had a wonderful American couple, Don and Jan Mottinger visit us. Jan did some special English teaching with the children and they just loved her different approach. Don set about renovating the old kitchen in our Siem Reap Centre – photos next newsletter! Down in our rural commune we have nearly finished the building for our early childhood and maternal education program. 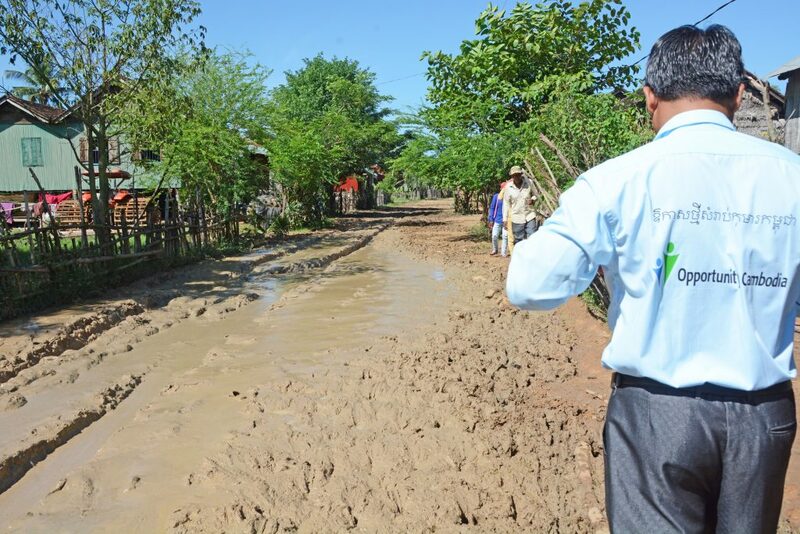 It is situated in the very poor village where a number of our students’ families live. 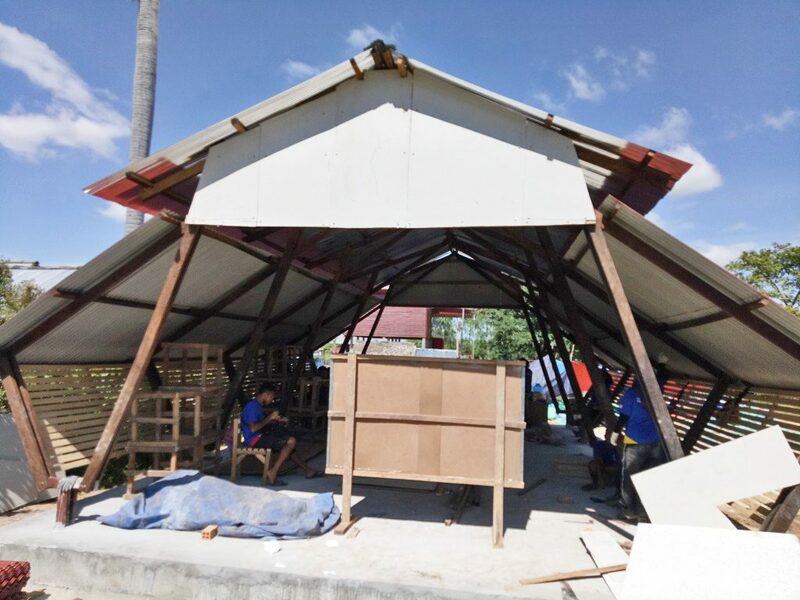 A Malaysian government volunteer program has funded and built the pre-school. 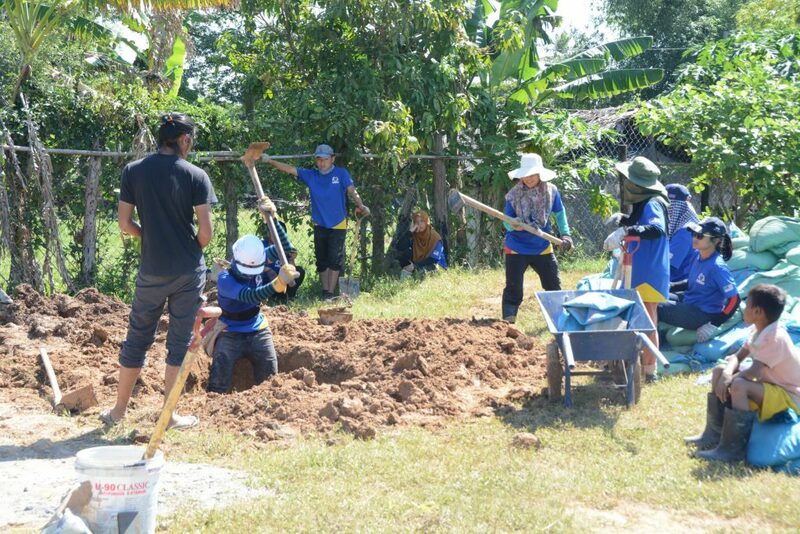 I expected they would send a team of 10 or so volunteers and was amazed to find 54 young Malaysian volunteers slaving away in the heat on the building site. Despite the trucks bringing in supplies getting bogged on our terrible access road they are doing a fantastic job and expect to be finished mid-December. 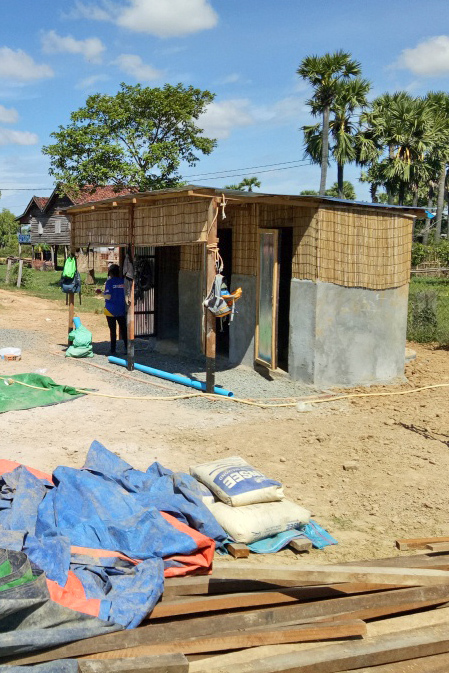 We have installed three toilets – the first sanitation in this community. 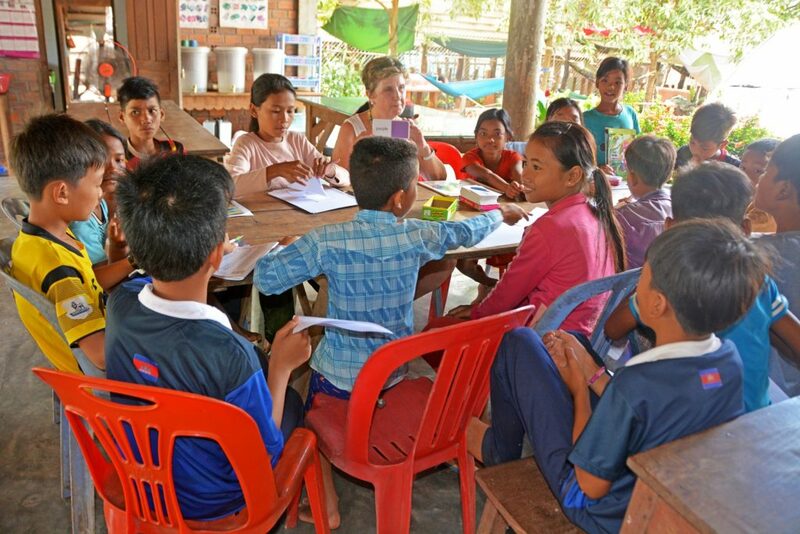 Opportunity Cambodia’s primary objective is to enable poor and disadvantaged rural children to gain an education. However we are undertaking development work in the communities where our students’ families live, funded by specific purpose donations. 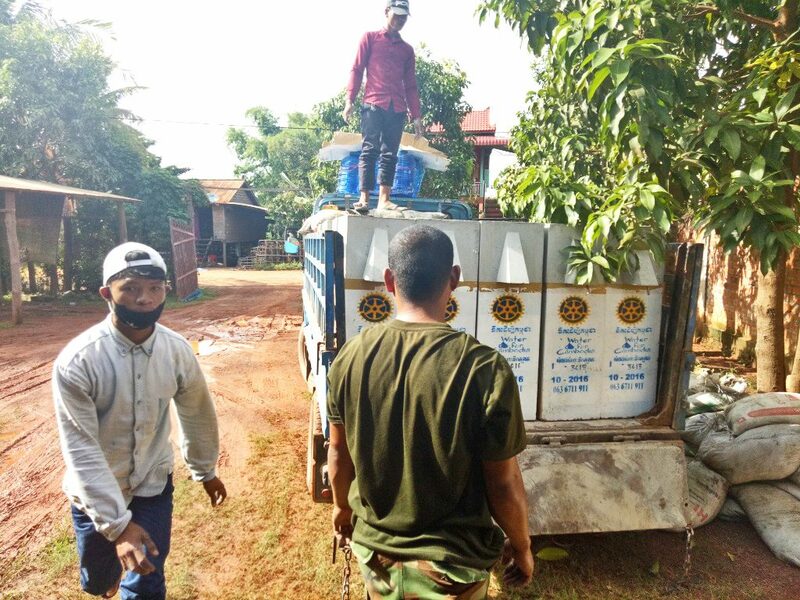 We have been working with Water for Cambodia to supply 100 water filters to families in our Commune. This is such an important initiative as few families have access to clean drinking water. Our pilot project to enable women in the community to earn income to help support their families is underway. The women have been trained in raising pigs and the project is going well. If it is successful we plan to expand it to more families and also to introduce chicken raising. This project is being funded by Lee Anderson. Water Festival time again. The festival lasts for three days, and commemorates the end of the country’s rainy season, as well as the reversal of flow of the Tonle Sap River. It is second only to Khmer New Year in importance for the Cambodian people. 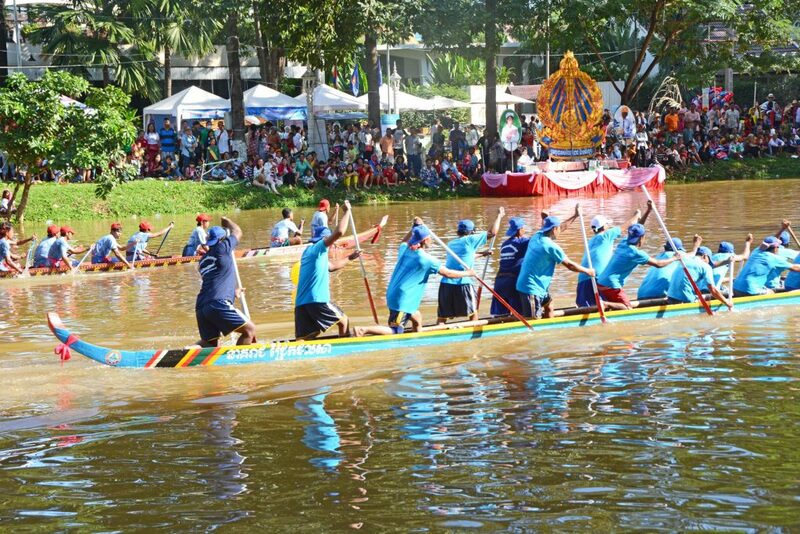 It is great fun with spectacular boat races on the River, fireworks, and general celebration. 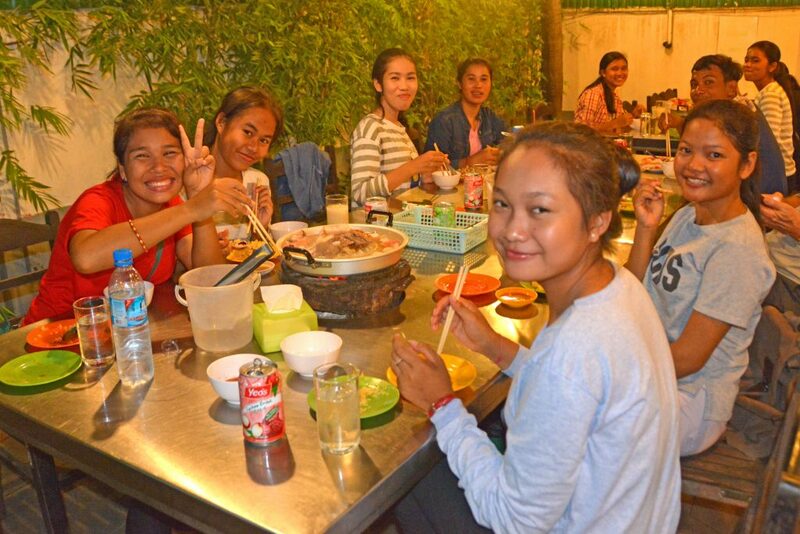 Our Siem Reap students had a great time – especially dinner out after the races! Once again, my sincere thanks to all our supporters – it has been a really successful year for all our programs and we simply couldn’t do it without your support. I wish you a very happy Christmas and a wonderful year in 2017.